Van roof racks and roof top carriers are very useful accessories for work vans and trucks. They provide additional space, expanding the cargo area and making it possible to carry items that don’t fit inside the vehicle. Some ladder racks are installed on trucks and vans to carry various types of pipe including copper, PVC, and conduit, allowing the material to be carried on the top of the truck or van. Racking may come with enclosed containers for the pipe and other materials to fit inside. Truck and van roof racks come in all shapes and sizes and suit a variety of needs. Some roof top carriers models are multi-purpose, allowing for ladders and other items to be carried as well. Many come with rope hooks so that loads can be secured. 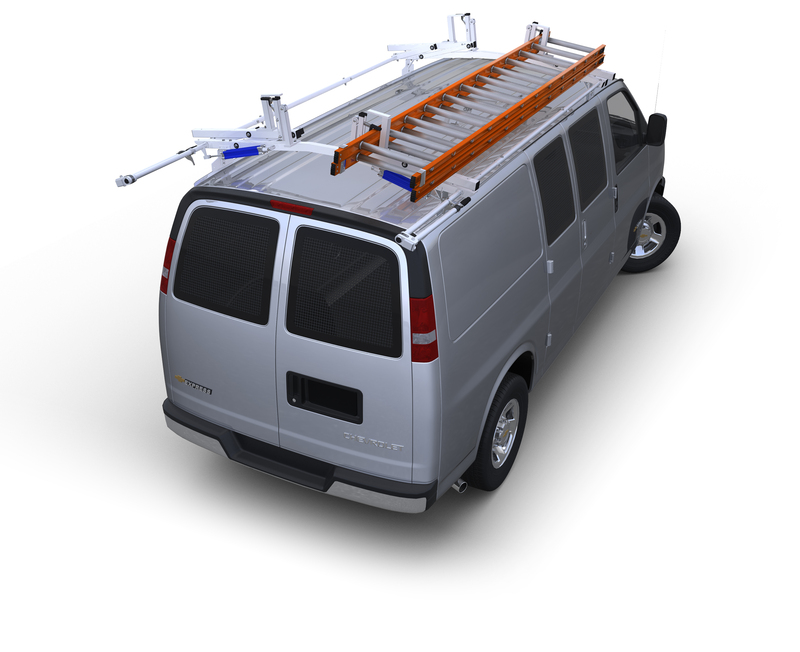 On vans, the rooftop cargo carrier often attaches to the vehicle’s rain gutter, making installation quick and easy. This also makes the rack easy to transfer to another vehicle. Van roof racks are often made of heavy duty steel or aluminum, creating a rust and scratch resistant product, ensuring a look that is professional and neat. Truck roof racks are typically tough, rugged, and have a generous load capacity. The rack itself, however, usually is fairly lightweight, as to not add dramatically to the overall weight of the vehicle. Cross members can also be added to support longer ladders and materials. Most racks are specifically made to fit certain vehicle models, but some are adjustable, allowing one rack to fit several models.